In the introduction to the first Landscape Photographer of the Year collection, you wrote that landscape photography is “good for us, generally”. Good in what way? I think it’s a food source; I really do. We’re in terrible danger of distancing ourselves from nature and from the phenomenal ability nature has to give us a sense of calm, to make us contemplate our own existence, and I often think it’s a kind of meditation, really, landscape photography. But surely you can appreciate a landscape without taking a photograph of it? Or making a photograph of it? You’re right, and I think the walker can and the sportsman can, to a degree; but I think photography can help you immerse yourself in it. It makes you think about light in a way most people perhaps wouldn’t. It makes you think about the play of light, the relationship between highlights and shadows; it makes you look at and observe the marvellous structure of clouds; it makes you think about and observe moisture; it makes you think about looking at a wonderful little raindrop. You engage profoundly with your natural surroundings. You started out as an actor, and developed a sideline, I think, taking photographs of your fellow actors for their portfolios; is that right? It is, and I think what really intrigued me about photographing actors was that they didn’t really care to be photographed. I felt that, having been an actor myself, I could be sympathetic; I could draw them out of themselves. My dad loved it. He photographed my two sisters a lot. He didn’t photograph me much – I don’t quite know why; I’ve found only one photograph of me, which is quite amusing. He had an old Contax camera, German, because he was stationed in Berlin for a while, and he kept it for years. He knew that I was quite intrigued by the whole business of photography, and he helped me set up a darkroom in my bedroom. I wasn’t particularly good academically, but he taught me the basics of how to produce an image on a piece of paper, which was magical. So you were taking photography quite seriously even before you decided to go into acting? I think I was intrigued and inspired to use the camera, albeit in a haphazard way. And when I was acting, actors used to come up and say, “Ooh, you’ve got a camera. Could you possibly photograph me for Spotlight, for my production, for my agent?” I would photograph them outdoors sometimes, in a churchyard, say, or at a railway station. How and when did the landscape become subject rather than background? My wife was an actress, working on a BBC programme, The Onedin Line, and I found myself going to watch the filming, down in Devon and other parts of the country. The hanging around was deeply boring, so I would wander the countryside with my 35mm camera — my father had lent me the money for it — responding in a very vague way to a shape, a shed, a tree, a valley. I had a darkroom in the bathroom where we lived in London, and I found it rewarding to go back and produce images of a landscape. They were black and white. I began to think, this is rather a nice sort of exchange I’m having with the landscape. But it was still vague; I couldn’t really define my objective. I just produced a very straightforward response: nice shed, nice tree, nice path. Am I right in thinking that you hadn’t really done much in the way of landscape photography when you were asked to shoot for a book? I asked what he did, and he said, with a twinkle in his eye I will never forget, “I’m the director of the illustrated books department at Weidenfeld & Nicolson. We’d love to see your portfolio. Can you come in on Monday?” This was a Friday, so I had a weekend to prepare some images. I barely knew where it was, but I went, and I had the most wonderful weather in April: it was rain and sun, rain and sun; thrilling light, actually. I came back with only three photographs, and I wondered whether that was sufficient to clinch it. And he looked at them – they were transparencies; they both looked at them and said, “Yes, this seems fine.” And since that book I think I’ve probably done another 30. It was a pivotal moment in my career. So how do you go about choosing locations, or potential locations, for photography? If I’m doing a book that celebrates a country — let’s say France, or Italy, or Spain – the first thing I have to do is try to get a topographical map. If the weather’s bad, I’ve got to find a bit of elevation, and also water. Water can get you out of a jam, because you get twice the light, in a way. But the search is usually fairly random, and it’s quite nice to go without a map and sail blind, as it were. I think the pleasure of discovery and surprise is what really lies at the root of a lot of my landscape photography — the discovery process, and then the relishing of it. So would you deliberately avoid places that have been photographed endlessly by other people? I don’t think I would want to go to places that I feel I know already, and that have been introduced to me by other, very established and talented photographers. I’d love to go to the Grand Canyon, but I’ve seen such wonderful images of it that I just think, well, that’s the definitive one; I can’t touch it. I love the pastoral and the undiscovered; just going down a lane can sometimes reveal something magical. 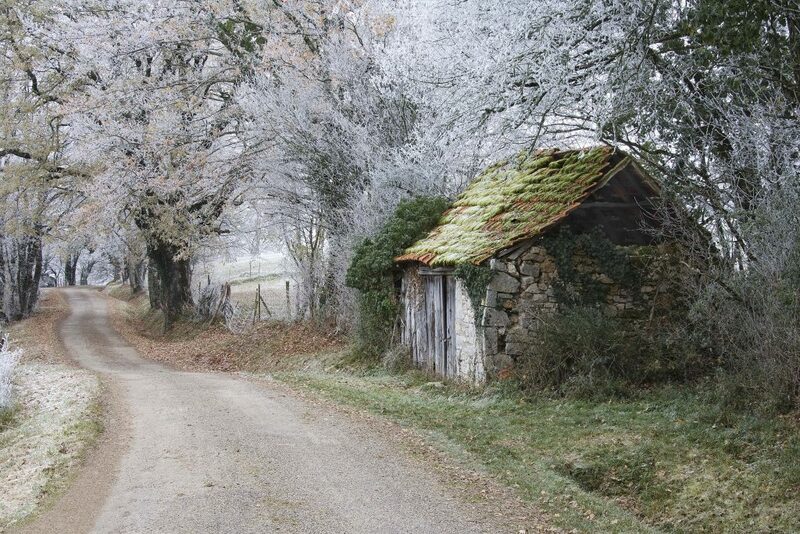 And you find a lot of that in France; what is it that draws you back? I love being able to roam, without feeling cramped, without feeling there’s somebody behind you. The whole process of discovery that I was mentioning is hugely enriching if you can walk or drive without feeling that there’s somebody behind you and you’re getting in the way. Photographing in Britain is becoming increasingly difficult because of that pressure. You can be on a little country lane thinking, I wonder what’s over that hedge; and then you can’t find anywhere to park. 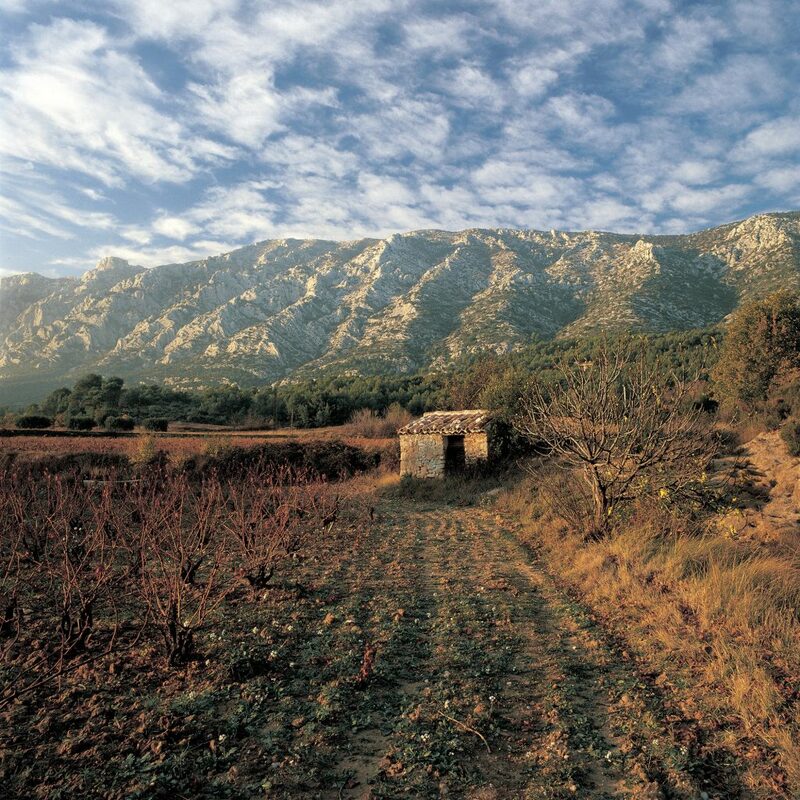 A landscape photographer has to be in a very calm frame of mind, and you can be in that frame of mind in France. Is Britain too congested for that? It’s getting harder to find secret little cameos in the UK, partly because every old barn is now being converted. If one likes decayed grandeur, or if one likes to come across something that might have a feeling of yesteryear, it’s pretty rare. But I think the UK still offers huge opportunities for the landscape photographer. Many people are drawn to Glencoe, in the Highlands; you can feel alone there and you’ll get drama, if that’s what you like. 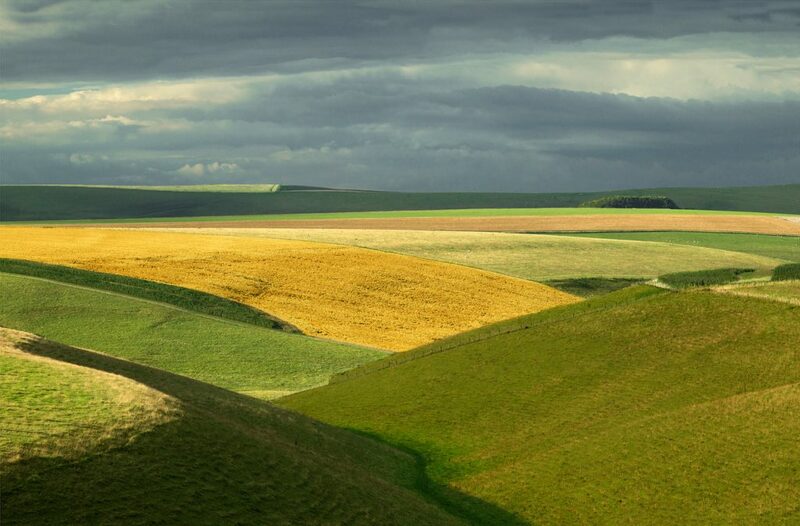 But I rather like the relationship between farmers and the land; their unwitting artistry. A beautifully ploughed field to me is a thing of great wonder. And where farmed land gives way to more wild landscape: I like that division between the two. I think that the surprises that I care for so much, and this process of discovery, I’m not denied them in Britain; but I have to be a little more tenacious to find them. Speaking of things you need, you’ve long argued that technical mastery is only one of the essentials for a photographer, and far from the most important. You say you need a particular attitude of mind if you’re to see properly what’s there in front of you. How do you go about developing that? You can’t drive anywhere if you don’t know how to handle the car. It’s the same with the camera. You have to have total fluency with its mechanisms, because if you’re struggling with trying to figure out what aperture is what, and why you choose that particular one, you’ll just find yourself being frustrated, and driving blind. Once it’s embedded into you, then you can really be the master of your creative interpretation of all the things you are looking at. My great mentor, Ansel Adams, had a lovely line: “Recognition and pre-visualisation blended together in a single moment of awareness.” And I think in a sense that’s being able to turn your head because something caught your eye, and then, in a heartbeat, to see in your mind’s eye the finished product. That’s a lovely experience. You’ve said that “A good photograph is a received one, an exchange between you and the landscape in which you allow the landscape to speak.” How do you go about doing that? I think it’s a mixture of posing questions and getting answers. And also owning and preserving my own very private, incredibly personal experience. In any artistic endeavour, you’re trying to express yourself and your response to the world around you; and the only way I can do that is with a camera. 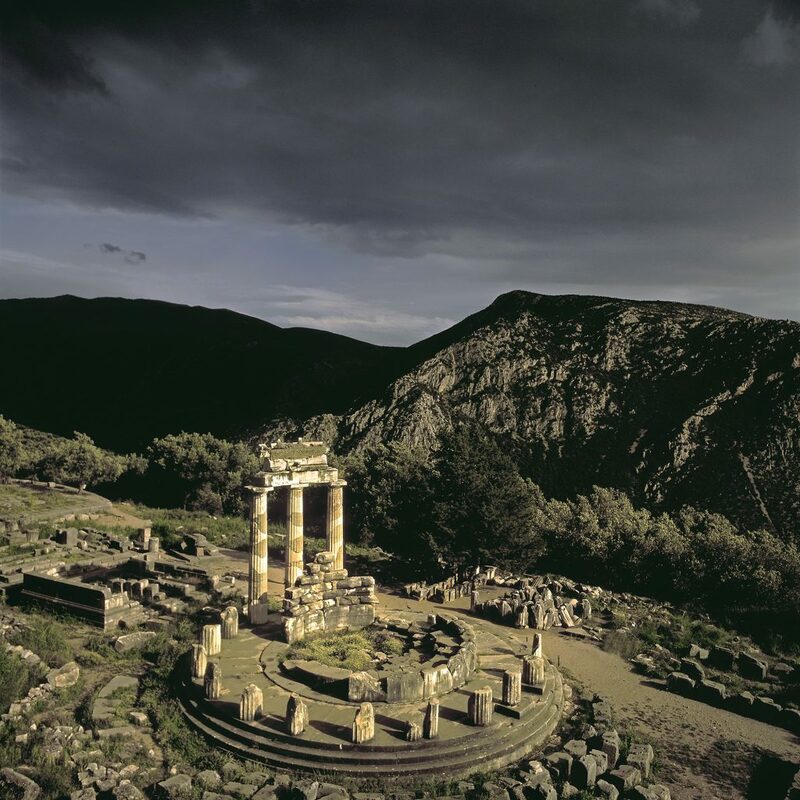 There’s a lovely phrase you use in one of your books, The Making of Landscape Photographs: “a thing made holy by the light falling on it.” I think that was in reference to a temple, a classical temple in Greece or Turkey, is that right? Yes, I think it might have been at Delphi, the Temple of Athena. I remember particularly a photograph in the Jura. I was heading back, feeling very despondent, because I was working on a book called Landscape in France and there had been five days of rain and I really felt grim. Not quite suicidal, but not far off. I just thought, I must go back and do a proper job and learn some new trade; this is all indulgence, and what am I doing? And I came round a corner and – I don’t like to overuse the word “biblical”, but there was a scene ahead of me that I will absolutely never forget; it sent shivers down my spine. It was autumn, there was a deep valley, mist in the valley; and it was truly, truly heavenly. I don’t want to sound over-dramatic, but I could quite easily have just sat down and died, then and there. It was just such a wonderful, elevating experience. And I felt I was looking at… staring our creator in the face, almost. A while ago I had an exhibition called Silent Exchange: a Return to Beauty; I do respond hugely to what my understanding of beauty is. You’ve said before that you’re baffled by much modern landscape photography and its preoccupation with the bleak and the gritty; what would you say to those who argue that the bleak and the gritty are part of modern life and ought not to be ignored? I know that the bleak and the gritty can be popular. They can be seen as provocative, challenging; some people may find them a reflection of where we’re going and what we’re doing. But I’m not good with ugliness. I sometimes think that I’m rather enclosed in my outlook. But I have to hang on, I suppose, to what I feel my landscape photography is about, and I don’t really want to challenge people – I definitely don’t want to provoke them; I don’t want them to feel offended in any way. I want them — as you suggested — to experience the holy. And you presumably want them to hang one of these images on a wall? Classic Charlie Waite shed, you could say. And I loved it, but I had no idea at the time that I was producing a photograph that would awaken something within the emotional response of the viewer in so many cases. Thousands of people love that one. Cartier-Bresson, whom I admire a lot, said that “to take a photograph means to recognise simultaneously and within a fraction of a second both the fact itself and the rigorous organisation of visually perceived forms that give it meaning”. It’s putting one’s head, one’s heart and one’s eye on the same axis. And I think when people make those comments about a particular photograph, it’s because the photographer had his heart and his eye and his head absolutely aligned. 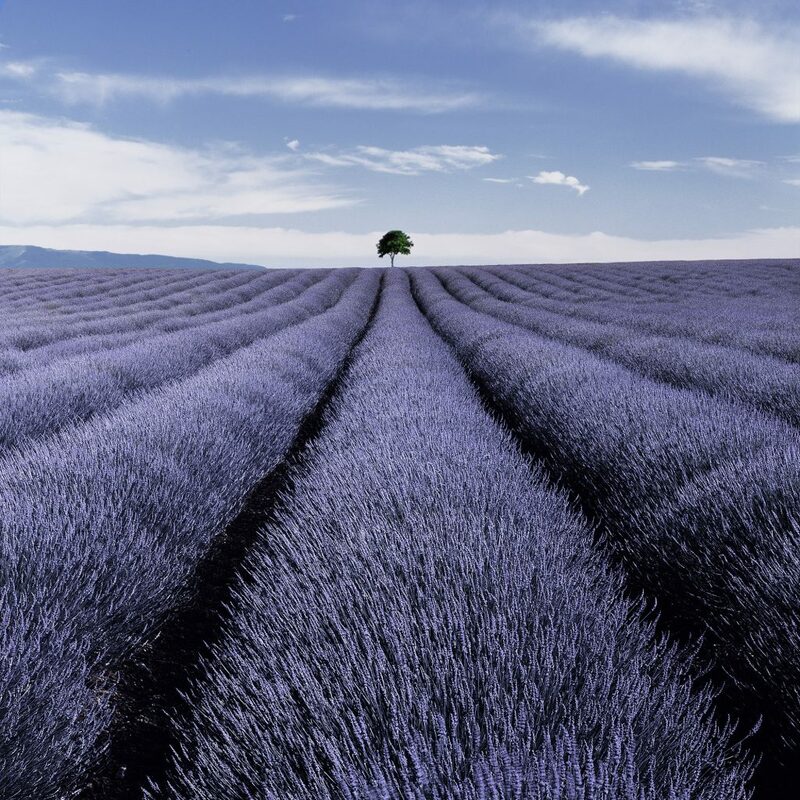 A line of lavender with a little tree right at the far end. Most of the foreground was lavender, like lines of hedgehogs rushing towards you. For some reason, I responded profoundly to that, and maybe I managed to bring back my response in its entirety. You’ve mentioned Ansel Adams; how has his work influenced yours? He had terrific creative drive, and he was a master of the technical. I’ve got a little term that I like to use: “attend and intend”. There should be nothing in a landscape photograph that you didn’t intend to be there; and you have to attend to all the elements, and make them coherent and cohesive. That’s what I admire hugely in Ansel Adams’ photography, and I try to emulate that. You’ve not only been a photographer yourself, but a teacher, a tutor, an inspiration to others. I’m thinking not only of the Landscape Photographer of the Year competition, and its sister competition in the US, but of your company Light and Land, which runs photography trips all over the world. Would I be right to say that you’re as keen on promoting photography as you are on practising it? I am. I get enormous pleasure from seeing other people’s photography. When I started doing landscape photography – and I was 27, 28 when I started doing it professionally – I had no idea there were so many people out there who wanted to do the same thing. When Light and Land began, in 1993, it was a joy to find that a workshop I ran in the Lake District was over-subscribed. I mean, we had 18 people, and then we ran one in the middle of the week and we had another 18… I love being in the company of like-minded people who can thoroughly enjoy the trace of shadows on a landscape, and the way the sky is behaving. And one of the things you encourage them to do is to print their images. Not just scroll through them on a screen. To have the image in print on a wall, for other people to savour and relish and wonder at, in the same way that you did at the time, is the finale that it deserves. It’s so transitory on a screen; and often there’s a very strong possibility with non-professional photographers that the image may just evaporate, and never be seen again. Having it in print form allows viewers, in their own time, almost to immerse themselves in the place in the same way you did. You’ve said that photographers “are not only well-placed to celebrate landscape, but to express environmental anxiety”. So do you see conservation, or campaigning for conservation, as part of the job description? It ought to be more. I think I’m guilty of making photographs of the landscape in one of its best performances, as it were. I probably should start waving my environmental flag a little bit higher. One of my predecessors, Fay Godwin – for whom I had enormous admiration – made a point of using photography to express her anxieties about environmental problems, which are growing. There have been huge changes in the machinery of photography since you first took it up, digitisation being the most obvious. Where do you see landscape photography going in the next 10 or 20 years? Will you still be doing it? Because it’s so open to manipulation? Precisely. 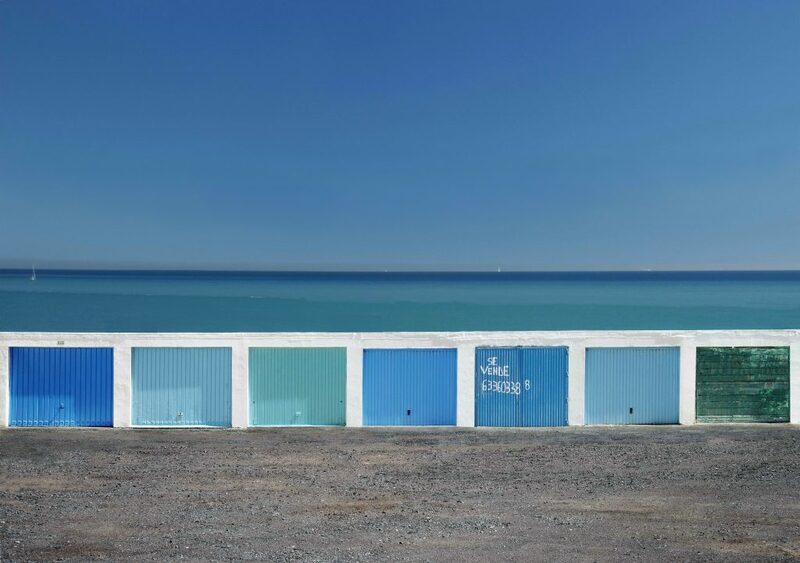 If, for instance, you try to increase saturation of a blue sky, you may be in danger of breaking the relationship between the viewers and your image. If there’s a suspicion about dishonesty (“Was it really that blue?”), then, momentarily, there’s something that upsets them. So one has to use restraint. You might want to remove something minute that perhaps you weren’t able to on the ground. You don’t want to change any geographical features — that would be totally wrong. You might want to lift a little highlight here and there; you might want to do something subtly with contrast. But the ultimate result will be looked at by the viewers, and they must receive it whole-heartedly; and not for one moment should they be suspicious of anything about the photograph — because if they are, that relationship is broken, and it cannot be salvaged. You’re done for. And it’s no longer “a thing made holy by the light falling on it”. It isn’t. That’s a very nice way of putting it. 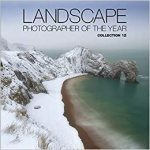 Landscape Photographer of the Year: Collection 12 is published by AA Publishing at £25. An exhibition of the best entries to the competition is on show at Waterloo station in London until February 23 and will then travel to other stations throughout the country. 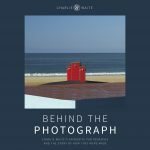 Charlie Waite’s first e-book, Behind the Photograph, which he says is about “the processes that go on before the camera is taken out of the bag”, is now available through his own website for £9.95.